For an American travelling through Europe, it is quite inspiring to visit and learn about the rich history of each destination. I think that the different architectures of each European city contribute to a feel and sense of its history. US cities don’t have quite the same architectural differences of Europe and sometimes feel “cookie-cutter” to me. I am always excited to visit places and am often surprised that they look very different than I envisioned them. Such was the case with Amsterdam this past September. 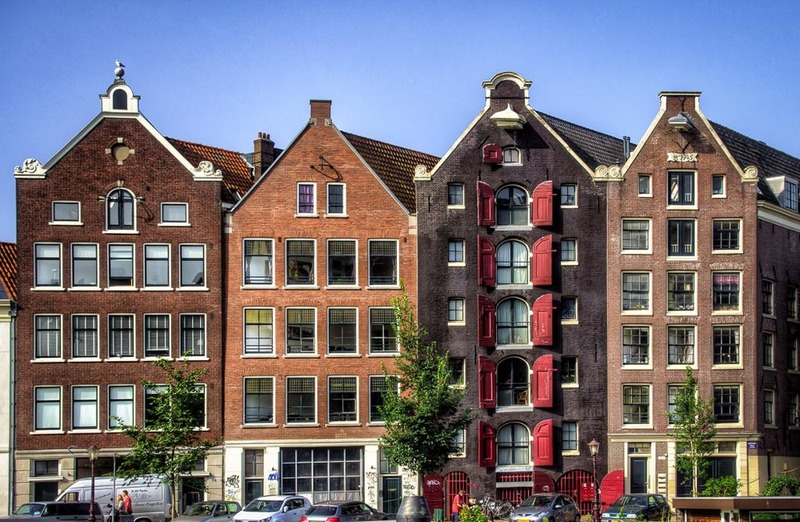 Strolling the streets, I saw many buildings that were constructed in the Renaissance architectural style with the Dutch influence of gabled facades. This image captures the classic look of this Dutch Renaissance style.